We are changing out 14K gallons of turbine oil during our maintenance outage and the issue of oil foaming keeps coming up for discussion. Does anyone have any experience with foaming being an issue or have you had no problems on startup? Were using Mobil 797 oil that will be clean and water free. The turbine is a GE 850MwE nuclear unit. use of highly refined group one base oil havily additized, will significantly reduce foaming and increase oil life. Harish Doshi - It looks like you either have no knowledge, and I might even say no clue about turbine oils, or you have mistaken them with motor or gear oils. FYI, turbine oils are very finely balanced blends, where additives represent only 3-5% or in some cases up to 10%, and the rest is base oil. In any rate, they are definitely not "heavily additized". 1. Where you see foaming occurs the most, in bearing sumps or a governor sump, or…? 2. Did you folks check (test) and confirm that the new and the old in-service oils are fully compatible, before the changeup? In some cases it has been determined that oils (more precise, additive packages) are not compatible. In such cases, providing you don’t have any air leak, formed flocks would serve as seeds for air entrainment (which you cannot see with unaided eye) and foaming (which you can definitely see). 3. If you did not test for compatibility before you replaced old oil, you may do it afterwards if you have a sample of previous oil and new (unused) oil. 4. Incompatibility can cause stripping of additives (foaming additives included). I would advise you to spend some money and test your new oil (from sump where you experience foaming), and see what happened to foaming and water separation characteristics. 5. Foaming can be nuisance at startup if your oil is cold (thus thick), and therefore, because the rate of air dissipation from oil is greatly impeded (slowed). Does foaming persist even when oil reaches usual operational temp? 6. How sure are you that the oil is clean? What the numbers are saying (ISO 4406/99)? If you only assumed that your oil is clean because it is new, you may be up for a big surprise. It is commonly observed that new delivered oil is much dirtier than your in-service oil. That’s why we filter and dehydrate every new delivered oil, before we add it as a make up oil or use it as replacement oil. Most foam problems occur due to contamination. Just ensure that you don't introduce a contaminant during the change out. Detergents used in tank cleaning will destroy your turbine oil demulsibility and promote foaming. Flushing would be advised to remove any traces of foreign products. Similarly grease or sealing agents used to lubricate joints on tank doors, etc can also cause foaming. If you did not have a problem before you should not have one after filling if you avoid contamination. Initial foaming may sometimes be a problem if oil is too cold and there is high air entrainment at start up but it should eventually decay. posted above is all correct all I can add is do not clean system with any water based cleaners or uou will have a potental problem. And I can also say that "new" oil is NOT always "clean and dry depending on delivery distance trucks used hoses and filters etc all must be looked at. Bye the way ALL turbine oils of good quality now days are GPII or better base oil NOT GPI. The correct wording here should be “APPROPRIATELY ADDITIZED” instead of “heavily additzed”. It is an error. John Micetic: I respectfully disagree with your opinion about my knowledge of turbine oil. Highly refined group one base oil (100% paraffinic) has following distinct advantages over other base oil for this application. Base oil being a large portion of turbine oil formulation, high performance base oil formulated with [technically advance additive package] compatible additives chemistry helps reduce foaming; emulsification; operating temperature; ware; sludge and varnish; etc. Some Power Plants in USA have been using this kind of turbine oil formulation and have experienced benefits listed below. FYI, there are NO group one oils out there that are 100% paraffinic. Such thing doesn't exist. If you would say group 3 or PAO type of oil, then OK. But they are absolutely not group one oils. Do not understand you compared to what "other base oil".?? Your statment is more correct in comparing a GPII oil to a GPI extracted oil not as you have posted. perhaps you have some experience with some real BAD base stocks but in the USA NO ONE uses GPI any more as a turbine oil of any quality. John Micetic & Bruce81: If you prefer you may write me an email message harish@suscom.net and I will send you information of a manufacturer of this oil. You can post the info (names) of this oil and the manufacturer here. I bet other folks would be interested in this info as well. This company probably have a website, too, don't they? Harish, John's not showing you much respect. If I didn't know any better I'd say he was trying to be antagonistic. LE# 6451 can be found in power plants all over the world. It's made from a high quality Paraffinic base oil. Nonfoaming, excellent water seperation, exculsive anti-wear protection and extremely long lasting. LE wrote the book on, "Long rain Technology." 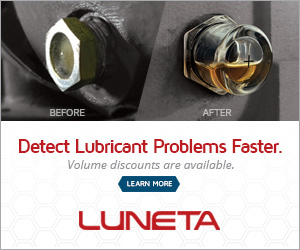 Bolg18 - You don't have to line up accolades for LE turbine oils as I am familiar with them. My point is that they are absolutely NOT GROUP ONE OILS. It seems that neither you nor Harish are familiar with API charts. It would be good to know what chart you two are looking at to determine which oil belongs to what group. John: Again, I respectfully disagree with your opinion about our (myself and Bolg18) knowledge of turbine oil and API chart. I suggest you should talk to technical folks at LE (1-800-537-7683)and they will explain how group one base oil is refined to 100% paraffinic base oil. explain how group one base oil is refined to 100% paraffinic base oil. In a round about way You maybe discribing GPII but I have never thought much of LE anyway. ALL power plants I know of use "major OIl" products NOT LE. GPII is whats used if not then you/they are way behind the times. I am not going to argue with you any more. However, the fact remains that if an oil has 100% of paraffines, that means that it has 100% of saturated hydrocarbon molecules and 0% of unsaturates or aromatics. According to API chart, this oil could be hardly classified as Group 2 oil, and more likely as Group 3 or even PAO. The same API chart shows that Group 1 oils have up to 90% of saturates and the rest are aromatics and impurities (mainly S and N). That is my point, and nothing else. I did not question quality of LE oils nor it is my intent to do so. To the contrary, LE company was always (at least for the last 4 or 5 years that I witnessed) trying to be the cutting edge of the industry. Back then they were offering their LOW TOX turbine oil that was formulated with oil that was refined by a severe hydrocracking process (to eliminate as many unsaturates as possible). I appoligize to all. I freely admit to not having the level of knowledge and understanding of some of you. I was merely defending Harish, who I've never met. Before I wash my hands of this discussion however I will tell Bruce that there are at least 6 to 8 plants within a 4 hour drive of my house (central PA) that are 75 to 100 % LE. I'm running 30% (roughly) DTE 732 to balance Terrestic 32. Starting to see stable foams. Top of my main lube tank is covered. unknown depth. Even seeing it in my bowser inlets. Pulling samples to run a full suite already, foaming, demulsibility, RPVOT, Etc. Any one else seeing this issue. RobertC - you should make sure that a full metals analysis (like D 5185) is run, look for excess Si & Al, these can indicate airborne dust, as well as Ca, Na, Mg, Ba or any other metal that is frequently found associating with sulfonate detergent/rust additives. Also make sure they run a fine filtration or high speed centrifuge analysis, which will also ID fine particles. Fine suspended particles are a common cause of foaming. Detergents will help these particles stay in suspension. Rflagg - If any parts are replaced during this outage, make sure they are clean. Parts will often be covered with a rust inhibitor in storage. The maintenance guys who install the parts may figure "It's rust inhibitor, leave it on and it will boost the anti-rust performance." The problem is that these in-storage rust inhibitors are often the same or very similar molecules as those used for engine oil detergents. As contaminants, these molecules can cause foam, emulsion or both. John Micetic - Can we disagree without being disagreeable? Give the guy a few gentle nudges in the direction of the facts before you fly into "Jane, you ignorant ****" mode. LE makes great products if you have a squeaky snake. I generally assume any supplier who dyes a product that isn't usually dyed is hiding something. In LE's case, it's sometimes used to hide the fact that their oils get very hazy with a very small amount of water, based on a study I ran in the 1990's. Very few fluid lubricants are intentionally dyed. ATF is red so that you know whether your trans is leaking (dyed) or your engine (not dyed). That's also why coolant is fluorescent green or yellow or orange and brake fluid is usually clear. When you see a leak, you know just what system is leaking. Some very light industrial oils are given a pinch of dye so they are more visible in sight-glasses. So no, most fluid lubes are not intentionally dyed. Royal Purple dyes many of their products purple as a marketing ID. As I noted previously. LE uses a lot of red dye, possibly to mask haze when their products get wet. I've known of some customers who are running identical systems side-by-side with intertwined piping who will dye one system so they can ID the source of a leak more quickly. Basically, dye costs money; why add it if you're not getting a benefit from it? Grease is another story - greases are often dyed. Steel mills like their greases black. It's hard to sell a paper mill a grease that isn't red. Once, after making an off-white batch without dye for a mill making white paper, I had a conversation with an oiler who swore "That red grease was better." There was no way we could convince this guy that it was the exact same grease without the dye (that added no benficial properties). "That red grease was better" was his answer, no matter what we said. Sometimes perception is reality, in a limited sense. The next batch for that mill was dyed red. I agree with Lamont - airborne dust, detergents/degreasers etc can cause foaming. If the ICP tests are very low - suggest running a filterpatch as well for visual check of any larger particles. The other question is how long has the oil been in service? Antifoam additives do get used up over a period of time. Is the oil supplier able to provide some antifoam to treat the system until you are able to shut down??? Antifoam additives do have a curious way of disappearing at times, but they are not consumed in the way that antioxidants or antiwear addiitves are. Their functon is the result of a physical phenomenon rather than a chemical reaction. They can fall out, due to the fact that they are not truly in solution (a critical aspect to their function), but they are very stable molecules that do not readily degrade. I have heard some turbine oil mfg. warn not to use 5 micron filters or electrostatics for fear of removing the antifoam additive. Check with your oil supplier. I've heard a few folk tales & urban legends, too. I've also conducted a year-long study of side-by-side GE Frame 7 FA turbines, one with and one without an electrostatic filter that conclusively demonstrated that electrostatic filters do not contribute to additive depletion. I'm just not sure what to believe, my own data or something I heard from my father's best friend's former college roommate. The turbine with the electrostatic filter went from varnish-related trips almost weekly to about 6 months between trips. 5 microns is small, and a siloxane molecule is fairly large, but remember, linear molecular dimensions are measured in Angstroms, not microns. A micron is a millionth of a meter, an Angstrom is a 10-billionth of a meter. Siloxane is much more likely to be knocked out of suspension by contamination than filtered out of a formulation, it's status as a suspended additive notwithstanding. I going to try Fluitecs ESP filter on one of my reservoirs that has a foam, and worse, air release issues. Turbine Oils are not Group 1 base oils. They are mostly Group 2 base oils. Important characteristics of turbine oils are: Demulsibility; Air release value; Viscosity Index and Oxidation Stability. Best thing to do is to use the manufacturer's recommended grades. Another good thing is to see if they can be cleaned continuously. Removal of external dirt and moisture will reduce problems greatly. Well formulated turbine oils do not contain the Silicone antifoam additive because that will upset the air release value. Lubrizol makes LZ 889D type of additive which is a polymer that while reducing foaming doesn't adversely affect the air release value. And no, I will not be adding anything w out the OEM saying so. Way too much at stake for that. Here is something I've seen on this topic that may be worth paying attenton to. As RobertC mentioned, most turbine oils have been reformulated with Grp II over the last decade or so. As operators top up with the reformulated product, they have occasionally seen deposit formation or filter plugging as the process progresses. This is due to the reduced solvency of Grp II relative to Grp I base oils. (The price of better oxidative stability is reduced solvency for mineral base oils.) Crud that was being held in solution by the older formulation beings to fall out as the proportion of the newer formulation increases. It's just something to be aware of. If it causes significant operational problems, the operator may want to consider additional filtration options, particularly something like an electrostatic or BCA filter. Or just bite the bullet & drain & refill. Still, the lower solvency of Grp II is not going to change, and while oxidative crud will form more slowly, it will still form. Maybe best to get the high-tech filter and be done with it? It is our experience at Isopur, that removal of varnish and submicron contaminants with BCA and Electrostatic purifiers does reduce foaming. Very clean oil generally, does not foam. An oil analyst I know has shown correlation between varnish potential, air and water release values. He suspects these tests may be as good as the VPI tests at determining varnish potential. I've observered a correlation between suspended particulates & degraded surface-related properties. Whether it's the particles themselves or whatever is keeping the particles from dropping our, a fine filtration of an oil with a foam problem usually produced a lot of very small, formerly-suspended stuff. Well, months on now and I am running a Fluitec EXP on another reservoir. It cleaned the first on from a QSA of 57 to 7. Demuls, air release, foam tend are OK.
Varnish potentialass are all critical. I'ver tried to rent some other machines for comparison, unsuccessfully. I did a jack leg experiment that was suggested to me, since my foam tenedency and air release are OK, but I still see issues. Small blender. 5 minutes and then log visual results. New oil was clewar at 10 minutes. Used oil was still full of virtually mothionless bubbles after 30 minutes. My next task to to do a run on an oil that has been through the ESP. I used to run a quick-&-dirty blender foam test. I'd run the blender on high for 30 seconds, then pour it into a glass container sitting on a piece of printed matter and time how long until you can read the print again. It's really more of an air entrainment (sub-surface bubbles) than foam (surface bubbles). Might be tough if the oil is dark. One thing to beware of when running any test relating to surface properties (demuls, foam, air entrainment) is glassware cleanliness. Traces of stuff you can't even see can cause all sorts of headaches with false failures. Best to clean everything well in something like Micro overnight. Then on your final rinse, the water should drain off in a nice clean sheet. If there is any beading or uneven draining, the glass is still dirty (no matter how clean it appears) and needs to go overnight again in a fresh solution. Turbine oil nowadays are Grp II Hydro treated or higher and are mildly additivated and Zinc free too. The inherent property of Grp II and selective TOBs for its demulsibility are the critical features of the current generation of Turbine Oils. Consequently, there has been a name change as well from the older Grp I type of TOBs used as in Mobile 797. The fear of foaming can be mitigated by preventing contamination from air or from water.